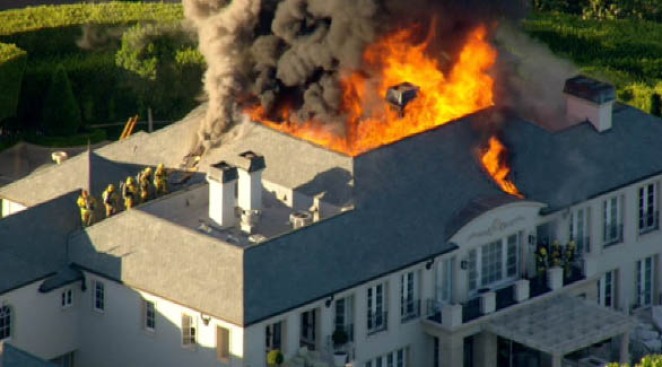 Reality television star Lisa Vanderpump says she feels sorry for the new owners of her Beverly Hills mansion, which caught on fire Friday evening. Flames ripped through the home s second floor, sending billows of smoke in the sky around the gated community. It took about 100 firefighters, one of whom suffered a minor head injury, more than an hour to knock down the blaze. Robert Kovacik reports from West Hollywood for the NBC4 News at 11 p.m. on June 29, 2012.